When asked about India's shock defeat Gavaskar termed it just an off-day. "Not worried about Team India's form. It was one off day,"
A dejected MS Dhoni was seen in a reflective mood, as he was sitting away from all the players who were out on the field shaking hands and trying to shrug the narrow 11-run loss off. After being adjudged Man of the Match on a similar scratchy pitch just a couple of days ago, Dhoni had just scored his slowest ODI fifty, and the slowest ever for India since 2001, off 108 balls. Having laboured till the 48th over, stroking just one four, that too coming off the 103rd ball he faced, he failed to take India over the line in a chase that was less than 200. Although Dhoni faced a substantial amount of deliveries 114 balls to be precise, he looked far from comfortable, failing to pick the gaps and time the ball, unlike just 2 days. Team India needed just 31 runs from the last 5 overs with 5 wickets in hand, and for the majority of the innings the required run rate remained under 5, but somehow, from 19 required from 17 balls, Dhoni’s dismissal left India with 14 to get off 7. His final score read 54, from 114 deliveries at a strike rate of about 47. This stark contrast rendered his match winning knock played less than 48 hours before, forgotten, and again questions were raised about Dhoni’s finishing capabilities. Yes, this failed chase was another one of a now steadily increasing list of previous chases that MS Dhoni was unable to see off, whether it was failing to score 8 runs off the last over off Dwayne Bravo and Neville Madziva or 10 runs off Kagiso Rabada. However, this was different. Unlike the previous times, when Dhoni had come out with 5-6 overs left, this time he was set, well set, at least when the time he spent at the crease is assessed. By the time he left, a required rate of 3.9 had inflated to 12.0, and that too after he spent an ample 36 overs at the crease. Yes, questions were asked about the “fine wine” which had been praised just a few days ago, with several fans and critics blaming the former India captain for playing too slowly which cost India the match. But did they see the whole side? 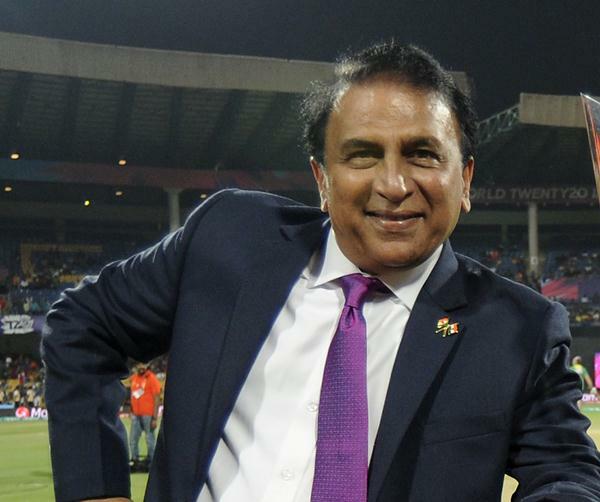 Former India captain Sunil Gavaskar has come out in support of Dhoni saying the right-handed batsman is not to be blamed alone for what was collective batting failure. “Stop blaming MSD (MS Dhoni). It was a team batting failure,” Gavaskar told NDTV. When the whole team gets bowled out for 178 despite two half centuries, you know the other 9 batsmen haven’t done enough, and that’s exactly what Gavaskar pointed out. When asked about India’s shock defeat Gavaskar termed it just an off-day. “Not worried about Team India’s form. It was one off day,” he added further.